Hey ya’ll! 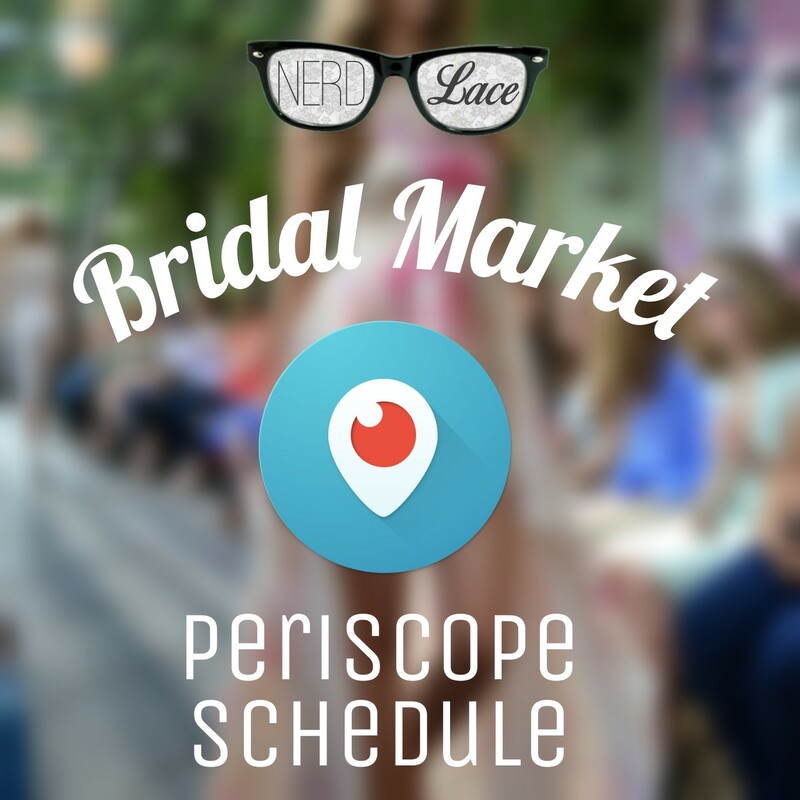 As promised here is the Periscope schedule for our live feed from New York’s Bridal Market. Keep in mind, this will all be possible if cell service and WIFI behaves. I am still waiting to hear back from a few more, but the ones above have been confirmed. Make sure that you follow us on Periscope to get the front row experience. Also follow us on Twitter and Instagram. We’ll be updating those regularly through our Bridal Market.